In almost every neighborhood and residential area in Texas, you’ll see stucco homes. Stucco is a mixture of materials such as cement, sand, water, lime, and other additives. Unlike brick and wood, stucco is a poor choice for homes built in wet and humid areas due to its tendency to trap water and moisture. However, it’s popular in dry climates because it helps insulate homes and reduce energy costs. Unfortunately, even the driest parts of Texas still experience regular rainfall and humidity. Many stucco homes are built with solutions to potential moisture-related problems in mind, and homeowners experience few, if any, problems related to water accumulation. But not all builders and contractors follow the recommended procedures when constructing stucco homes, and that can lead homeowners like you to experience major headaches, big repair bills, and even safety hazards years later. A large number of homes in the American Southwest and the Lone Star State were built using stucco in the early 2000s and later by contractors and builders looking to generate quick profits. While those homes may have initially looked beautiful, their stucco exteriors hid a myriad of problems growing underneath. Why Is Stucco Associated with So Many Problems? By itself, stucco is a desirable and versatile building material. But because it doesn’t handle moisture well, it must be used with caution and with plenty of special considerations. The biggest reason that stucco defects occur is placing stucco too close to interior framework and failing to give water and moisture avenues of escape via evaporation. Unlike wood and brick, stucco is notorious for trapping and retaining water inside of structures. When homes and other stucco buildings have proper ventilation and water repellent designs, moisture is less likely to collect and more easily able to drain or evaporate. But when those special considerations aren’t applied, water can pool and accumulate inside wood frames, creating hazardous conditions that lead to rotting, mold growth, insects, and other undesirable and even unsafe conditions. Stucco defects are serious. They can result in huge repair bills, decreased property values, and even safety concerns for occupants. In extreme cases, homes may even be condemned due to a dangerous lack of structural integrity. 1. Failure to use expansion joints—Stucco shrinks as it cures, especially in dry and hot climates. Expansion joints are supposed to be used during the construction process to allow for this to occur, but builders may forgo this step to save time and money. Eventually, the lack of expansion joints can result in cracks and structural damage appearing. 2. Failure to allow stucco and other building materials to dry completely—Drying is an important step in the stucco construction process, but builders may skip that step to save time and money. Even well-sealed stucco applications can be at risk for water damage if the building materials themselves aren’t completely dry during installation and construction. 3. Failure to apply sufficient layers of stucco—Stucco must be applied in thick layers to be structurally sound. When stucco is applied too thinly, it’s much more likely to crack and peel away from the interior framework of the home. Even small, hairline cracks and movement can increase the risk of water and moisture accumulation—both of which can lead to serious problems. It can be difficult to make these assessments without an experienced construction defects law firm on your side. In addition, builders and contractors often deny responsibility or even blame homeowners themselves for problems. Don’t Take No for An Answer. Call a Stucco Defect Lawyer Today. You’ve spent hundreds of thousands of dollars on your home, and now you may be watching your investment rapidly lose value and even become dangerous to step foot inside. Don’t let the people whose negligence created this headache and safety hazard pass the blame off on others or refuse to accept responsibility. Our law firm knows what you’re going through, and we know what it takes to win. 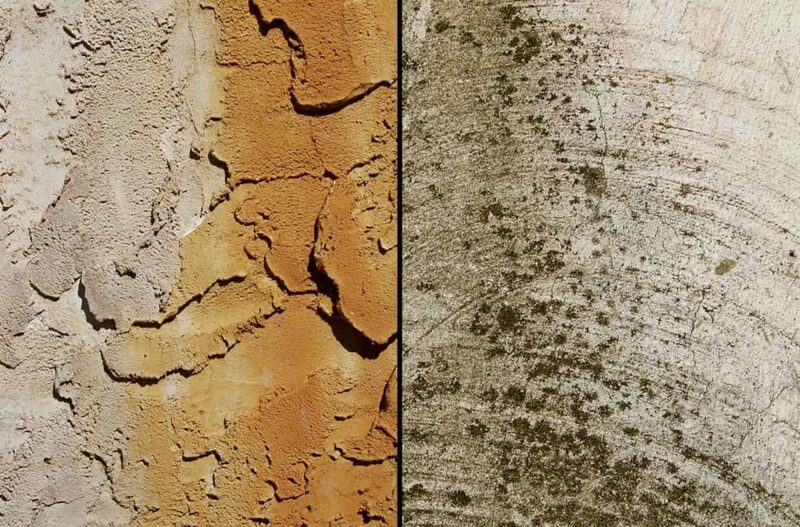 Call us, chat with us, or get a free stucco defect case evaluation anytime. To make it easy for you to contact us, we’re available 24 hours per day, seven days per week. In addition, we don’t charge any upfront fees for our services. We only get paid if we get you money. You deserve full compensation for the losses you’ve incurred due to a negligent builder or contractor, and we’re here to help you get it. Don’t wait another day to get the legal representation you deserve.